1. How will I be able to get to Disneyland from Chungking Mansions at Kowloon. 2. Can u give us detailed information like maps, travel guides on MTR stations. 3. Is it a walking distance from Chungking mansion to MTR stations to disneyland? Comments for How to get to Disneyland from Chunking Mansion in Kowloon? can i use entrance/exit n5 in mody st. going to tst tsuen wan line? Hi. We will be staying on November at Delta deluxe Hotel located in Block A, Chung King Mansion, 36-44 Nathan Road, Tsim Sha Tsui, and from there how to get to Hong Kong disneyland? how much is the octopus card? after going to disneyland how to go back to my add. chungking mansion 36-44 nathan road hongkong hongkong. Hi my family and i were travelling to hongkong soon, were staying at manila hotel. This is our first time to travel in hongkong, i would like to know how can we get to disneyland and ocean park from our hotel .. Thank you! Day and Night hotel is conveniently located at Flat D8, E2, 10 Floor, Block D, Chungking Mansion Building, 36-44 Nathan Road, Tsim Sha Tsui, Hong Kong. To get to HK Disneyland from Day and Night hotel by MTR train is easy. Get into the Tsim Sha Tsui MTR trains (train entrance/exits are located close to the hotel) and take the Tsuen Wan Line trains to Tsuen Wan but you need to get off at Lai King station --> change trains to the Tung Chung line going to Tung Chung and get off at Sunny Bay station --> finally, change to the Disneyland Resort Line train to Disneyland. It take about 39 minutes travel @ HK$18.3 per person using octopus card or HK$20.5 per person using a single journey train ticket (not recommended). Hi, my family and I will be travelling to Hongkong for the first time, 2 months from now. We are staying at Day and Night Hotel in 40 Nathan Road Kowloon. We will be staying at HK Taisan Guest House, Burlington Branch for 4 days this August. Can you please tell us how do we get to Giant Buddha from our hotel? We plan to go to Disneyland on our second day, howto get there? And on our third day we would like to go to Ocean Park, how to get there? On our last day we would like to visit Victoria Peak, Wax museum? Can you pls. give us direction as well? The nearest MTR exit from East Tsim Sha Tsui station is Exit N5. It is just about couple of minutes walk along Nathan Rd. upon exit to Chungking Mansions. 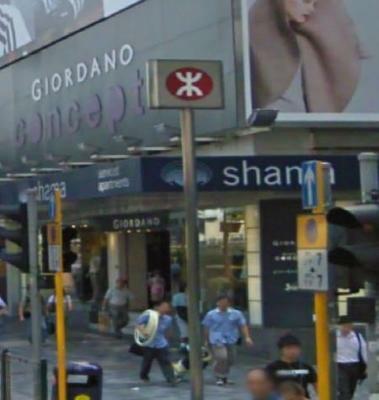 what exit for go to chungking mansion from east tsim sha tsui MTR station? Re: How to get from Chungking Mansions to Ocean Park. Refer to this map for the respective location of Ocean Park and Chungking Mansion also with Disneyland. Note that Ocean Park is located in southern part of Hong Kong Island while Disneyland is in Lantau Island. Just take a short walk from Chungking Mansions to the Tsim Sha Tsui MTR station Entrance / Exit M3. Once inside the trains TST station, take the Tsuen Wan Line train going to Central but just get off right on the next station, the Admiralty station then take Exit B. Trains travel time is just 5 minutes @ HK$7.9. Upon exit, get on the special CityBus No. 629 for about 15 minutes @ HK$10.6, an express bus travel between Admiralty (west) and Ocean Park main entrance. Hope this help and have a wonderful trip to Hong Kong! Re: How to get to HK Disneyland from Chunking Mansions in Kowloon. 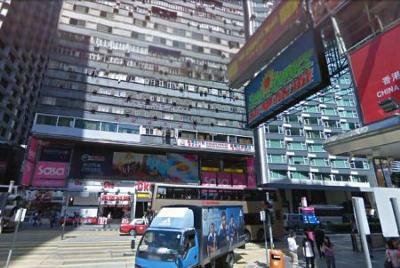 Chung King or Chungking Mansions is located at 36-44 Nathan Road, Tsim Sha Tsui, Kowloon, Hong Kong and the most advantage is that this area is part of the so-called "heart of Hong Kong city". This is a place where there is always an easy access to most Hong Kong tourist attractions, sightseeing and shopping. The most efficient way to travel from Chungking Mansions to Hong Kong Disneyland is through MTR trains. Please refer to the map below for the exact location of the place (with markers) and the nearest MTR trains Entrance / Exit station. From Chungking Mansions, walk about a minute to the nearest MTR station (please take note of the MTR sign picture above) which is the Tsim Sha Tsui station (entrance / exits M3, M2 or G). Upon getting inside in the TST train station, take the Tsuen Wan Line heading towards Tsuen Wan and then get off at Lai King station. Interchange trains to the Tung Chung Line going to Tung Chung but you need to get off at Sunny Bay station. Finally, interchange trains to the Disneyland Resort Line to Disneyland station and there's only one exit on that station that will direct you to the Resort entrance. Total train travel time is 38 minutes @ HK$16.6 (using octopus card). How to get from Chungking Mansions to Ocean Park? 1. How to get to Ocean Park from Chungking Mansions, Kowloon? Bus or train? 2. Is it a walking distance from Chungking mansion to Bus/MTR station? Or you still have to ride a taxi to the station? 3. How much does it cost to ride bus/mtr from Kowloon to Ocean Park?